Snježana Vidović works as a self-employed artist in her atelier in Perci (Istria / Croatia). Snježana was born in 1963 in Yugoslavia ( Zenica). She lived for 20 years in Germany (Munich). In Munich she learned painting in the atelier of the painter Peter Schermuly (1992- 1999). 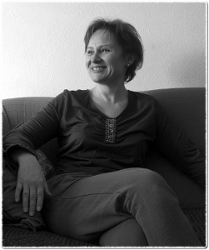 Snježana Vidović had exhibitions in Germany, Italy und USA. Snježana Vidović offer a Creative holiday in Istria. So you get opportunity to explore “The small Tuscan of Croatia” by a painting course.